Anne Xavier takes in an old friend, Erik Lehnsherr, after he is wanted for murder. Her brother, Charles assures her it will not be for long. Anne has recently lost her husband and is left with two small children to care for and a farm. 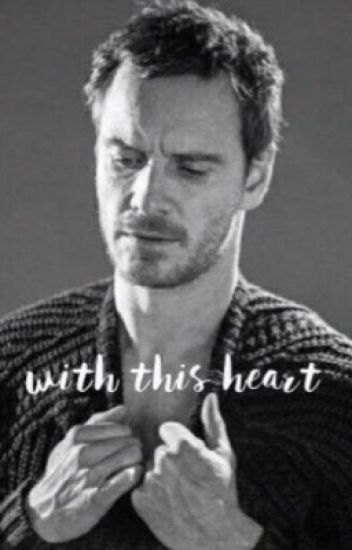 Erik has also recently lost his wife and his child. Although they've known each other for years, it's as if they're starting over. Two broken hearts trying to mend one another. Fluffy Erik romance story. Verrry fluffy. The movie plot of X-Men: First Class retold with a new character added. Colleen MacLeod, also known as Chloris for her superpowers of plant manipulation. In this story, she will be replacing Raven/Mystique as Erik Lehnsherr's (Magneto) love interest. The twin sister of the Professor. The one with the temper. The one who fell in love with the Enemy. Crystal Xavier is Charles little sister. And just like her older brother she's a telepath, but she also has telekinesis. What will happen when she meets Erik Lehnsherr. Is there more to crystal than what seems. Erica is searching for her little sister Sofia who was taken from her by Klaus Schmidt.Not only does she want to find her sister, she wants to kill Schmidt for what he did to her and her sister all those years ago.And during her search to find them she sees a familiar face. Analise is a normal girl living a normal life until she meets someone who changes her life for ever when she meets a young handsome devilish mutant named Erik Lensherr. A/N: i know that i probably messed up the timeline and the ages of characters and time of event and such so please forgive me. These are my Erik Lehnsherr x Reader one shots. Based on the movie X-Men: First Class, a story about an English woman named Avery Knight, a mutant who lives under the radar and had a lonely and painful life until she met Charles Xavier and Raven Darkholme. After a while of their friendship, they met another mutant named Erik Lehnsherr, a German guy who lived his whole life in pain in their effort to capture a communist named Sebastian Shaw. Little did they know, there's something going on between Erik and Avery. What  happen between them? Can Avery convinced Erik that war isn't an answer to save their kind? Never underestimate one's power of rage but also never underestimate one's capability of love. Even a heart of steel can be melt by the touch of their love one. Marian Glenn was only a child when her powers began to develop. As time went by, and as Marian grew into a young adult, her powers free substantially. Soon enough, her parents realized the danger that she could bring to their home, so in thinking that it was the right thing to do, they sent her away. Marian soon sees, as she begins to realize there is more to her powers than meets the eye, that she's not alone in the world. She meets two strange figures one day, one of which seems to spike her interest. Will this strange man help Marian to realize her full potential, or will love ensue? Cassandra Avok has known Erik Lensherr since their experimentations with Sebastian Shaw back in 1944. Now they both want revenge for what Shaw has put them through, but the two of them can't do it alone. Charles Xavier steps in and creates an elite team of proud mutants called the X-Men. With this team together Cassandra and Erik can finally take down Shaw, but with some certain complications in between. Love might tear them apart or bring them closer than ever. The future may ruin everyone and the past might fix the present.